Ben is a poet and novelist. 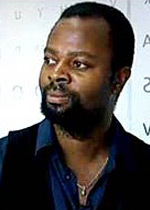 He was born in 1959 in Minna, northern Nigeria, to an Igbo mother and Urhobo father, but now lives in London. Ben is a Fellow of the Royal Society of Literature and in 2000 was awarded the OBE. Translated into more than 20 languages, Ben has been awarded numerous international prizes including the Booker Prize in 1991, the Commonwealth Writers Prize for Africa, the Aga Kahn Prize for Fiction, and was presented with a Crystal Award by the World Economic Forum.